The European project as it stands now is not based on the broad consensus of the European public, and that’s why populists and Russian propaganda are so successful, writes Tomáš Zdechovský . 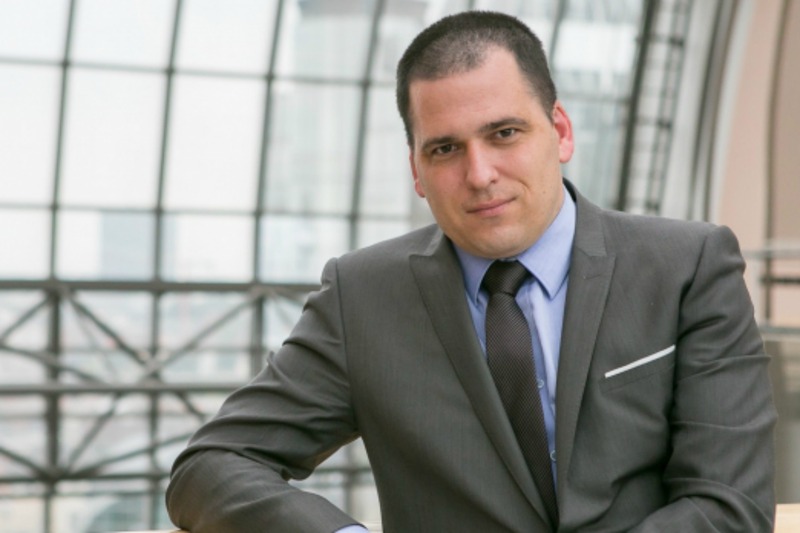 Tomáš Zdechovský is Member of the European Parliament (Czech Republic, EPP). The European Union is currently facing many important challenges – which include not only external attacks and problems, but also criticism from within the European Union, from the citizens themselves. It needs to deal with disputes between the member states, while its very existence is jeopardised by the possibility of losing some of the member states. What I see in the history of the European project is that the very existence of the European Union is defined by a constant struggle. A struggle against external enemies or internal circumstances, but nevertheless a struggle. We can look at it in two ways: either as an impossible challenge or – and this is a view that we all here share and it is also the reason why we are here today – we can view it as a mission. Because the EU was created to face challenges, fight enemies and mitigate crisis. And the more challenges we face, the more raison d’être is given to the European Union. I would like to highlight several concrete issues, which I think are the most pressing ones and which pose the largest challenge but which – in my view – are only a confirmation for the necessity of the united Europe. Maybe paradoxically, the biggest challenge is the loss of trust in the European project and the open resistance of European citizens against the European Union. The results of the European elections in 2014 have shown that the disillusion affects all EU countries. If we want the European Union to remain strong and keep its touch of glory, we cannot ignore or trivialise this problem. We need to understand the depth of the resistance against the European project and instead of imposing rules and expressing threats, we must offer an alternative solution that will bring Europeans back together. This is the only way that the EU will become attractive and legitimate once again. The basis of the EU lies on democratic values and such a structure will not be able to function without a full support of its citizens. A research conducted after the elections (in early 2015) revealed that only 51% of European citizens considered EU membership to be a positive thing. This means that the European project is not based on overall consensus of the European public. We need to understand that half of the European citizens are indifferent or negative towards the membership in the EU. Many voiced concerns across the continent call for restriction of the European integration – and I can illustrate this on the example of the United Kingdom or even my homeland the Czech Republic, two countries who are massively critical of the European Union. Now – what solution is there? European politicians necessarily need to come closer to the citizens. Indeed, this is a phrase that we hear far too often but what does it really mean? From my own experience, the solution is communication: giving information, explaining, debating, respecting opposing opinions, giving insights – this all can be done via media and through personal contact. Helping people with their concerns and decreasing their fears is a way to go. We must not be deaf to the problems of the ordinary citizens. Quite the contrary, we politicians need to take the responsibility for presenting the benefits of the EU membership to the public. I wish that the European citizens are able to identify themselves with the EU project and this will be possible only with politicians capable of understanding the deepest concerns within the society. And that will also lead towards legitimisation of further and much deeper integration because we can influence people to identify with the EU. Secondly, the European Union is facing threats from the outside. Even today, 25 years after the dissolution of the Soviet Union, we are subject to the political claims of the large and powerful actor on our eastern border. Russia still poses a threat to the peace on the old continent. The strengthening of the unity of the EU member states should be a priority of the European leaders, because unity is our most important defensive mechanism against the destructive Russian tactics. The EU and NATO must play their part in ensuring the EU security and safety of European citizens. Russian propaganda is one the main threats to the European peace. Its inconspicuous character spreads within the European public and Europe has not been until now well prepared to deal with it. Russian propaganda is especially aimed at post-communist countries that were once under its sphere of influence. Their democracies are still fragile because they need to fight a higher rate of domestic dissatisfaction and a lower level of trust in democracy. Therefore, Russian propaganda is more successful with some of the newer member states. The Russian political approach capitalises on current crises within the EU: the threat of Brexit, the migration crisis or the financial crisis and the economic situation in Greece. Russia spreads its influence through support of extremist political parties, especially in the right wing. It is now proven that, for instance, the French National Front accepted money from Russia. This is a cross-border issue that calls for a united action and that can be successfully addressed only if the member states deepen their cooperation mechanisms. Finally, the third big issue is also an external factor, which has a massive impact on the EU policies. The migration crisis is one of the most influential phenomena shaping the current European political scene and that will have also an immense influence on the future of the EU. Right-wing and extremist parties take advantage of the situation, thanks to the deficiencies of the migration policies so far. The chaos accompanying the refugee crisis is an evidence that more integrated European policies are needed in order to successfully address the very complex, transnational issues that are not solvable on national level. What we need are clear, comprehensible and consistent policies that will be understandable also to the wide public. Therefore, we need an open, public debate about the issues that affect regular citizens. The absence of such a debate would be a tragedy for the future of Europe. EU falls pray to populists BECAUSE the inaction of the last level which is the European Council !! Prsidents and Ministers who cannot take a real federal decision ..at least for the Eurozone ! Europe should have a constitution with the ability of direct democracy for European solutions ! Want Elected 19/28 Presidents a constitution to implement direct democracy ? You are right about the cause-effect correct relationship: the falling citizens approval is the consequence of UE mess, not of the “populists (boohhh boohh!) propaganda”. It is nevertheless untrue that the “last level” has been inactive. It was even too much active: they made a first coup d’état in Greece, torpedoing Papandreu (a populist?) because he was correctly asking for a referendum. They then torpedoed Berlusconi, because he told someone in the EU that Italy could have abandoned the euro currency. Letting apart Siryza, they recently blackmailed the French President Hollande (a renowned “populist old mole” ) by threatening an infraction procedure against France due to excessive deficit spending. They forced him to introduce a social dumping that french people doesn’t want at all (be sure, strikes have the silent and sympathetic support of the general people), which is also the opposite of a socialist policy. The socialist party because of that will be swept out from the political stage in the next general elections. They were very active in imposing an apparently silly political economy, and for these reason they (thus EU) lost any support from UE States citizens. What became evident is that EU is not what it was told. The crude reality of this oligarchic intergovernmental clique became evident, thus hatred. This is a long trend, as you can easily see getting a glance to the Eurobarometer, a monthly poll made by European Commission, which suddenly disappeared from the Propaganda bulletins – the so-called “European media”. As you probably don’t know Italian, you cannot unfortunately listen to the discourse made by Oligarchy butlers as for instance Mario Monti, who several time said that “political decisions must be sheltered from elections”. This is the EU ideology, something that Mussolini or Hitler could have been endorsed. Ok, so the answer to the problem of citizens being disillusioned or negative about politicians continually bringing in ‘more Europe’ is to have more Europe. Satire is alive and well in the EU. Oh, and don’t forget; right wing=bad, left wing = good. No exceptions, no need to think.